A reporter launches a series of vicious articles about the cases and Lindsay's personal life is laid bare. But this time she has no one to turn to - especially not Joe. 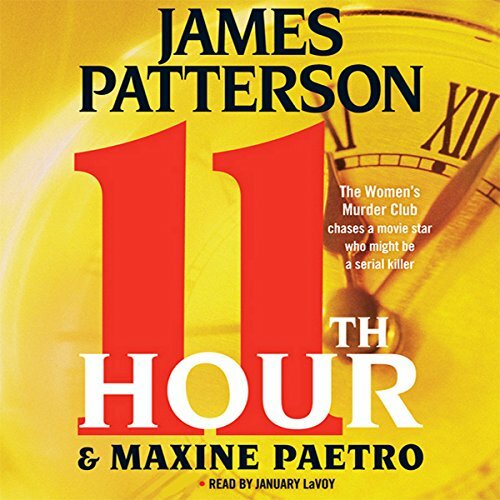 11th Hour is the most shocking, most emotional, and most thrilling Women's Murder Club novel ever. 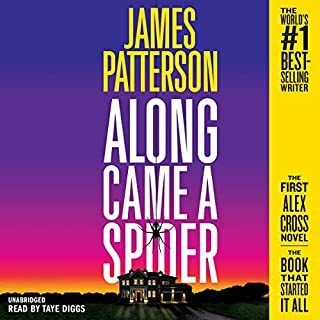 James Patterson became a quick favorite when I began to read the Alex Cross series, then I discovered the Women's Murder Club and I started from the beginning. The first books in the WMC series were very thought out and detailed. In the 11th Hour things felt rushed, the two crime story lines did not mesh well. I would rather wait longer for a book release and enjoy the quality of the work instead of spending time and money on a work that I don't find enjoyable and may cause to delay purchasing new books or not reading at all. What did you love best about 11th Hour? What three words best describe January LaVoy?? ?s voice? 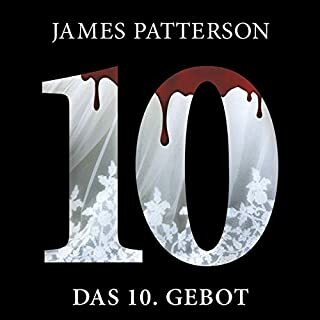 After listening to Carolyn McCormick for 10 books, it was very disappointing to have a new narrator. All of the characters voices are different that what I am used to hearing. I can no longer tell who is speaking just by the voice I have to wait until the narrator says its Lindsay or Cindy. Series is terrific. Draws you in and you want to know what happens next. Characters all sound alike. You can't tell when they transition until she identifies them by name. Bring back Carolyn! Won't buy another book narrated by this narrarator. Sorry. My computer crashed and it was been several weeks getting in fixed. I was running out of books on my Ipad and was pacing myself and adding more books of Cd as well as e-books to my routine. I was feeling like an addict watching the supply get low. 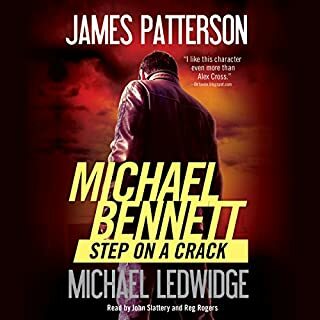 Amazing how much Audible audiobooks are part of my life since I retired. 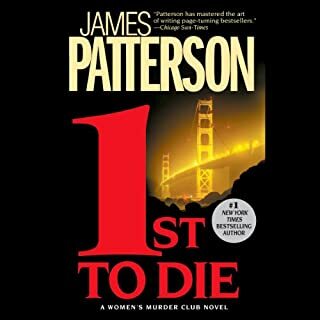 This is just a run of the mill average story but I like that the story takes place in San Francisco and that the Women's Murder Club is still working together. But I am getting very tired of serial killers. Can we not just have a single interesting murder anymore! The interaction between the murder club members makes this story flow and Boxer is pregnant and emotional. Enjoyed the problem with the young reporter, it added some comic relief to the story like how they got back at him at the end of the story. Looking forward to book 12. What other book might you compare 11th Hour to and why? the previous 4 books in the series. long slow and only a little entertaining, easy to push pause. Did January LaVoy do a good job differentiating all the characters? How? Would you listen to 11th Hour again? Why? I would definitely listen to this book again. It is a very good book with a fast pace to it. The ability to listen to the different voices of the characters. The accents that the characters may exhibit. Yes, but I had to split it up into two sittings as I had a lot I had to do. 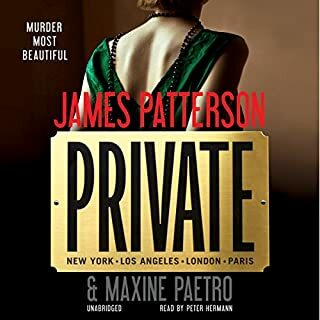 What was most disappointing about James Patterson and Maxine Paetro ?? ?s story? It is a bit hard to pin, but I never thought this story line reached as high as the early parts of this series. They fit 2 distinct lines into a very short story, and neither really felt fulfilled. Have you listened to any of January LaVoy?? ?s other performances before? How does this one compare? I have seen other commentators that said she was terrible, and I don't agree there at all. This is the first book I have heard from her. I would consider her competent, though not necessarily the best I have heard. Some variation of voice for characters, but again, not as much variation as leads to a WOW! experience. Was 11th Hour worth the listening time? It was not terrible, but not great either. It fit in the "3-star" category of "nice enough for a short diversion, but not good enough to recommend." What is the 11th Hour? Lacks suspense.. I feel duped by Patterson again. I don't like it when he co-authors a book. However. I am a fan of this series and interested in the characters. This installment of the Women's Murder Club is just a bit past okay. The story plot is kind of bland. I did not care about any of the characters. There is no depth to the characters. Favorites like Jacobi are just thrown in to make an appearance. The story lacks the substance and "pow" of previous stories. The murderer was revealed too early. Would like more details about the main characters and what is going on with them. Their old personalities in the previous stories were more interesting. Why the change? The police officer, Lindsay seems to have lost her edge. She used to be more assertative. Can't believe the way she handled the sitiuation with Joe and his friend. I wanted the friend to be confronted by someone! The friend's actions were inappropriate. What happened to Brady's wife? A two sentence conversation with Yuki and nothing later? I had to rewind several times due to "zoning" out while listening. The story just did not hold my interest. The narrator was alright. The original narrator was better with different character voices which added excitement and drama. Unfortunately, I am hooked. I like the characters and will undoubtedly purchase the next book in this series because I will want to know about Lindsay's baby, Claire's baby, and who gets married next. I have all the book's in this series and I while I've loved all the books this one lacked something for me. For example Lindsay wouldn't handle the situation with Joe like she did in this book...it seemed pretty wimpy for her. And why did he take a laid back approach? That wasn't his character in previous books. Sounds detract from the performance. Otherwise , this is a good read. 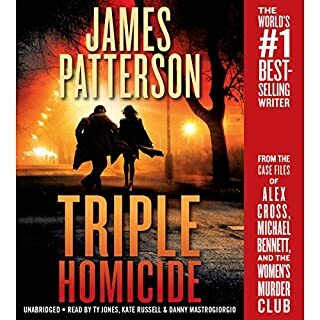 if you have liked the other murder club books, you will like this one.